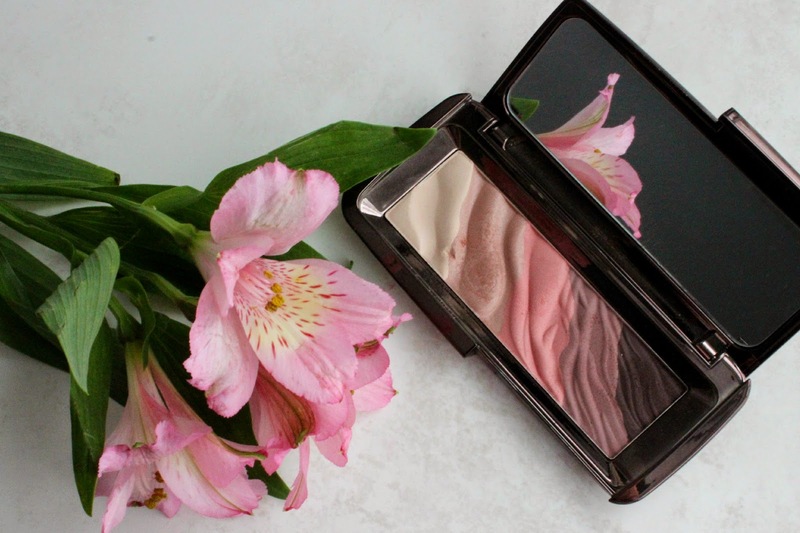 Ahh, the very talked about Hourglass Modernist Eyeshadow Palette. Being the beauty obsessed VIB Rouge that I am, I had early access to this palette. I've used it a handful of times, and I think I'm ready to give my 2 cents on the palette. I only first purchased something from Hourglass around Christmas of 2014 (late on the band wagon, yet again, I know). 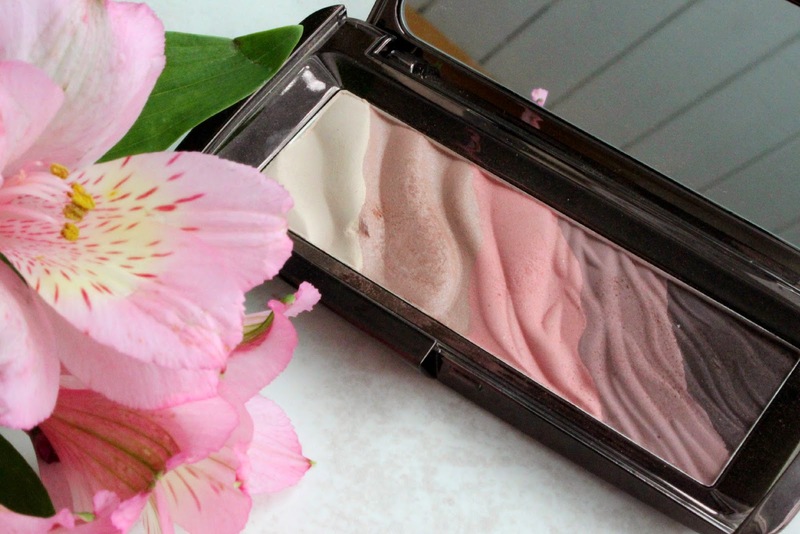 And if you follow me on Instagram, you will know that it was the Ambient Lighting Blush palette. I've already declared my love for that here. So naturally, when I saw that they had an eyeshadow palette, I grabbed one, in the Monochrome shadow range. We will start off with the packaging. I could literally stare at this all day. From the sleek curved case, to the soft waviness of the shadows themselves. It's like a mini piece of art. The shadows themselves are a little lack lustre. The three lightest colours don't have the greatest pigmentation, but I actually really like that about them. All of the colours are kind of a combination between a very subtle shimmer and a matte; none veering too far in either direction. Being as pale as I am, I find palettes like the Urban Decay Naked's can be a bit over powering for everyday wear. The colours in this palette are smooth to the touch, but once you dip your brush in, it emphasizes the chalkiness of them. As you can see in the second picture, there is definitely a lot of fall out in the pan and on your cheeks. The two darker colours are definitely more pigmented in my opinion, and work really well with a liner brush. What I think surprised me the most about this palette is that the colours aren't necessarily true to what they appear. Similar to the Mood Exposure blush, they go on the skin much more purple than anticipated (especially the middle colours). I'm not necessarily complaining about this; I was just hoping it would have been a better mix of taupe, pink and purple. The palette contains .035oz, or 1g (X5) of product, and retails for $67.00. Overall, I don't think I would recommend this palette, given the quality of the shadows and the (very high) price tag. Have you tried the Hourglass Eyeshadow palette? What are your thoughts?